Tattoos are great representations of art. It is exquisite and highly noticeable to people. When we see someone with it, we usually perceive that person as bold, fierce, and intense. People with tattoos tend to be more artistic and creative. Nowadays, lots of unique tattoo designs are available. Some even prefer bizarre and odd designs. What most women prefer is a design that symbolizes feminism.Tattoo are one of the best layout examples that women love. 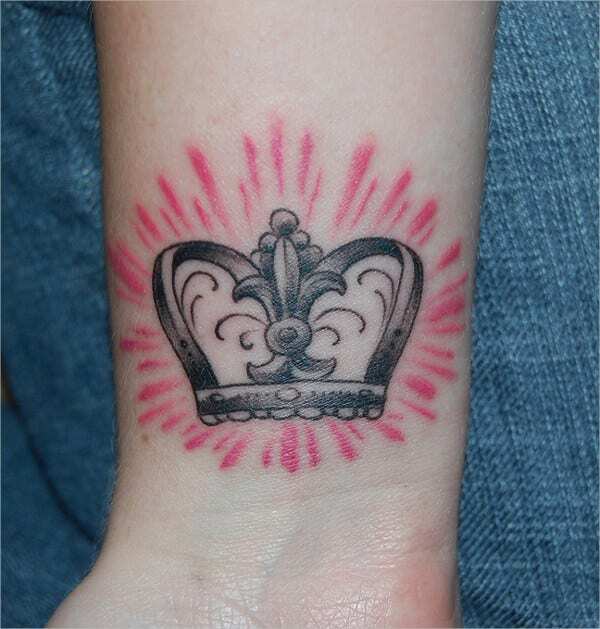 Additionally, if you want to see more option, our different crown tattoo designs are a must see here. If you are looking for a new tattoo layout, this collection will be a perfect choice, ideal not just for women but for men as well. 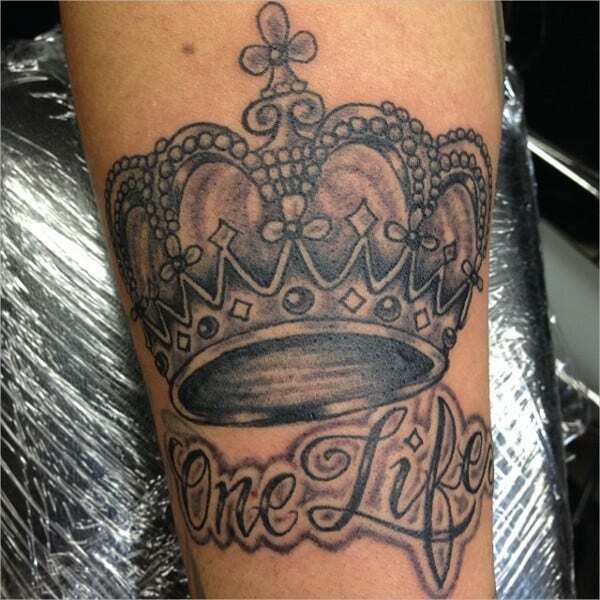 Tattoos can be in any forms or styles depending on an individual’s preference. Some love the idea of having a weird pattern, and there are some who opt for a more artistic style. For women, something that is cute and feminine is a great choice. Phoenix Tattoo Designs are also a favorite of some men and women too. It has that free-spirit aura in it, and it also indicates immortality. One of the things why some prefer this type of tattoo it is because of the vibrant mixture of colors it contains and the unique form it has. 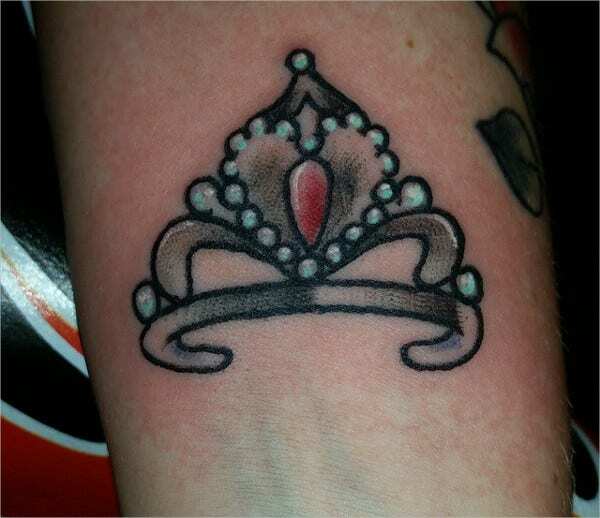 One crown tattoo that women love is a princess crown layout. It signifies royalty-like feeling. 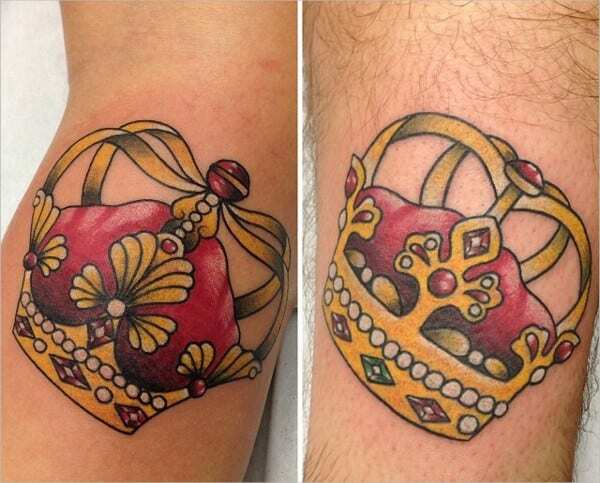 It is somehow telling people to “treat me like a princess because I know I am.” One of the reasons why women prefer tattoo design like this is because of their adoration to princess-inspired things. Perhaps when they were kids, their adoration toward Disney princesses played a part in this. 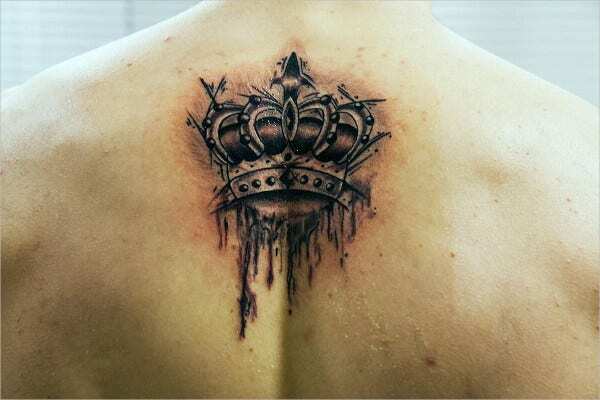 A gold crown tattoo is also an awesome design for both men and women. The color itself symbolizes grandeur and superiority. 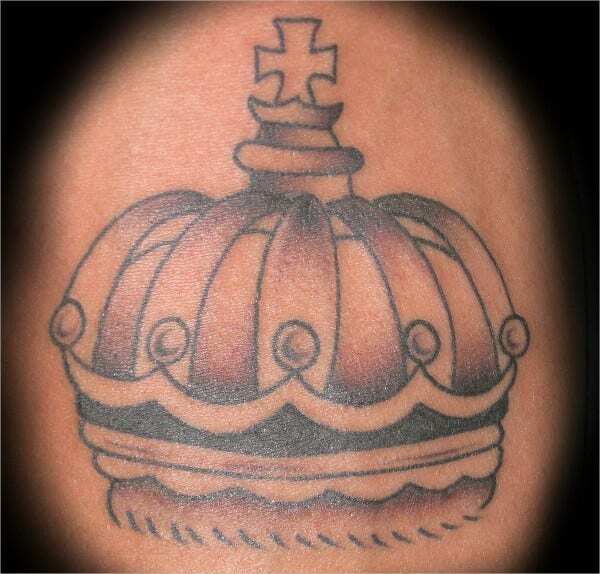 Crown tattoos can either be small, medium, or large in size. Tattoos are truly majestic and one of a kind. 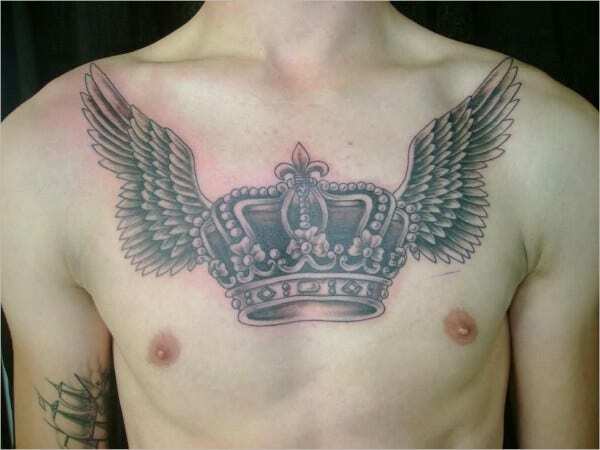 Apart from crown tattoo designs, there are other variations that we offer. 3D Art Tattoo Designs are one of the best examples that we have. 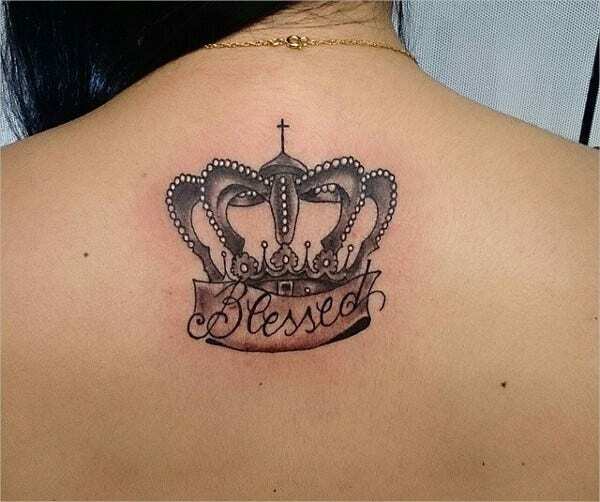 There are people who prefer this type because it is exceptional, stunning, and it is like you have a realistic image of something inked on your skin. Though this is quite expensive compared to other designs, nonetheless, it is all worth it once you see the outcome. Tattoos can also be put on different parts of the body. The most common location is the arm since it is where tattoos are most noticeable. Others are placed on their legs, on the back, on their thighs, and even on their faces. For those who does not like the idea of having large tattoos, they prefer to put a small tattoo on their wrist. Some use this as an idea of getting a friendship tattoo or couple tattoo wherein you have matching tattoos with your best friends or with your significant other. 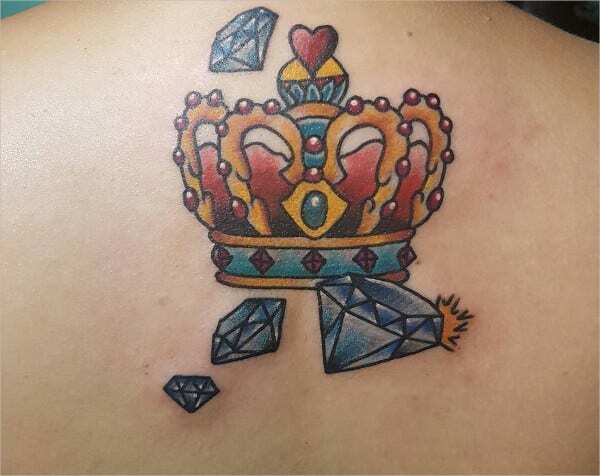 There is also what you called as an abstract tattoo and our abstract crown tattoo design is a great example, ideal for both women and men who love that weird and unique tattoo design. These are all yours to make use of.